Best Known As: The courtly, corrupt, and ultimately tragic high-powered lawyer Ray Fiske on Damages, a very affecting performance despite the shakiness of Ivanek’s Southern accent. Trademarks: Hiding behind an unpronounceable Slovenian name, this very American stage actor has a dimunitive frame, a prominent forehead, and a crooked, sardonic mouth, all of which tilt his casting toward the debauched or the demonic. First Glimpsed In: The cult horror film The Sender, with our friend Shirley Knight. First Big TV Exposure: Part of the Tom Fontana repertory, Ivanek played a prosecutor on Homicide and the governor on Oz. High Art Moment: Ivanek was part of the amazing ensemble in Dogville, Lars Von Trier’s best film, and its disastrous sequel, Manderlay. 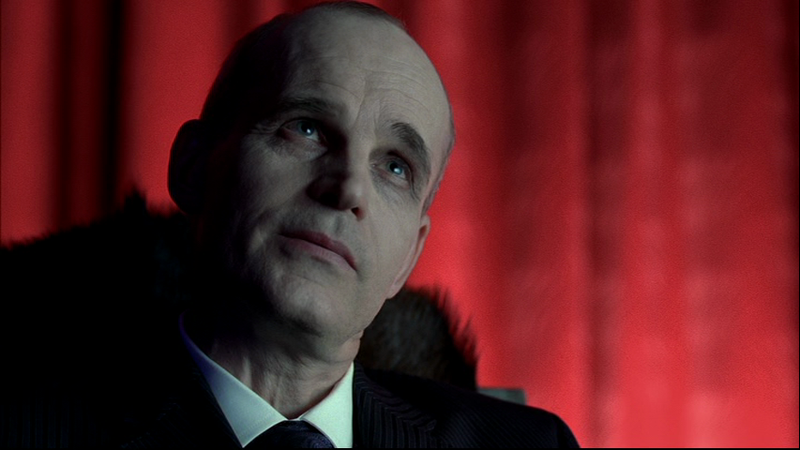 Ivanek the Terrible: Lately he’s been overexposed as TV’s go-to guy for generic villainy: miscast as a rogue military operative in Heroes, miscast as a deranged redneck on Big Love, nothing to do as a vampire judge in True Blood. Somebody should use Ivanek against type as a nice guy, before I get tired of him.